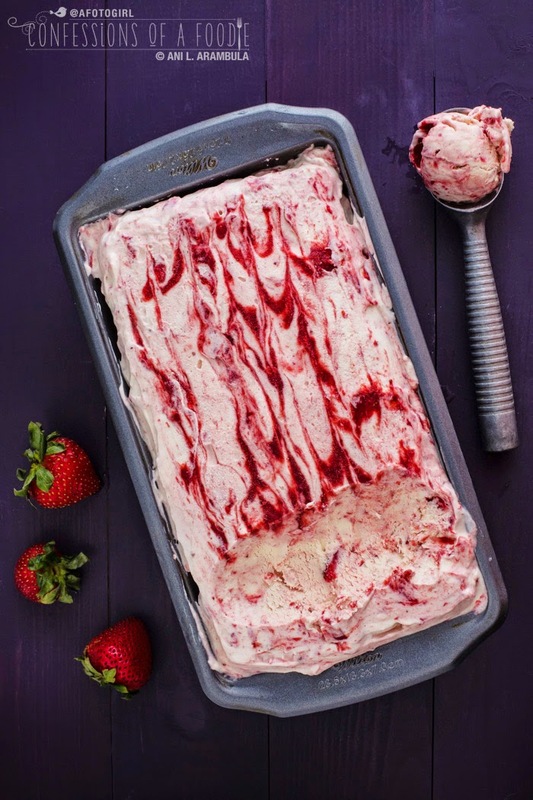 Summer in a bite, this Strawberry Shortcake Semifreddo incorporates all the flavors of the classic dessert into a creamy, cold, light dessert that's perfect for summer. 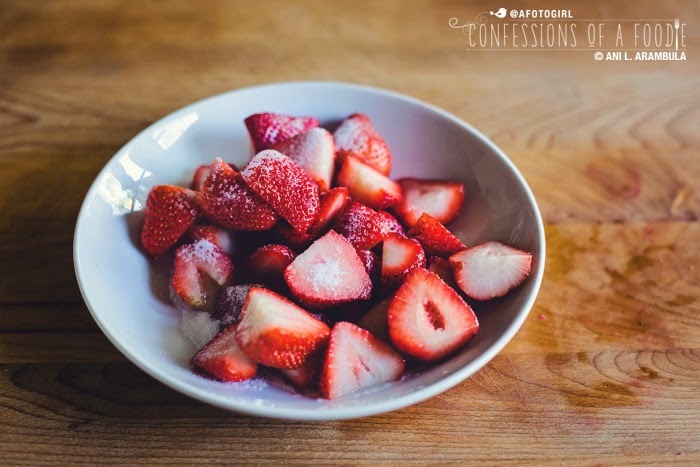 It's no secret that I have a fondness for strawberries. I especially have a fondness for them when they are paired with something cool and creamy. Last year during strawberry season I created these yummy Strawberry Cheesecake Bites that proved to be a hit with everyone who made/tasted them. This season, I was given the opportunity to work with Driscoll's in creating my interpretation of strawberry shortcake just in time for National Strawberry Shortcake Day which is this Saturday, June 14th. I thought long and hard on what I wanted to make. Did I want to stick with tradition and make a tasty biscuit topped with strawberries and whipped cream (which, let's face it, totally makes the dessert)? I contemplated the Japanese interpretation with their light white, angel food cake-like base separated by a layer of sliced strawberries. Did I want to go the route I grew up with which was a slice of pound cake topped with sliced, sugar macerated strawberries and whipped cream? So many possibilities. 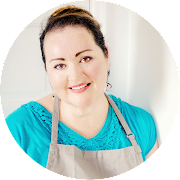 When I signed up for the challenge with Driscolls, I was asked to describe what I would be making. 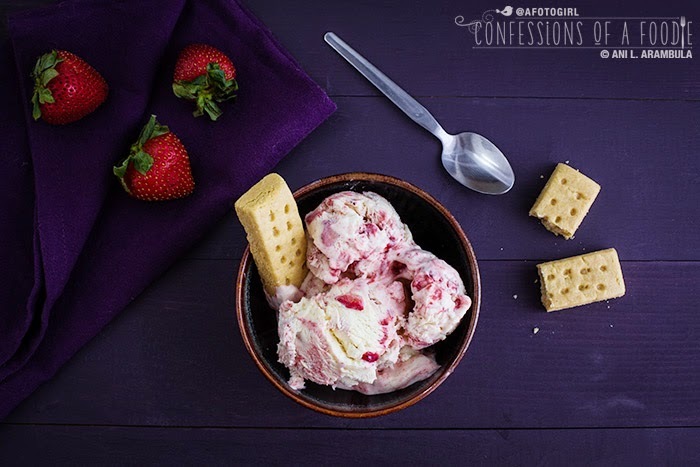 Forced to make a quick decision, I impulsively typed in strawberry semifreddo. Never mind that I've never made it before. Never mind that it TOTALLY pushes the boundaries of what strawberry shortcake is "supposed" to be. But I was up for the self-imposed challenge. A couple of tries with some well intentioned recipe writing that looked good on paper but didn't translate to the real world and I came up with a dessert that I am pretty happy with. Is this a strawberry shortcake in the strictest sense? Well, no, of course not. 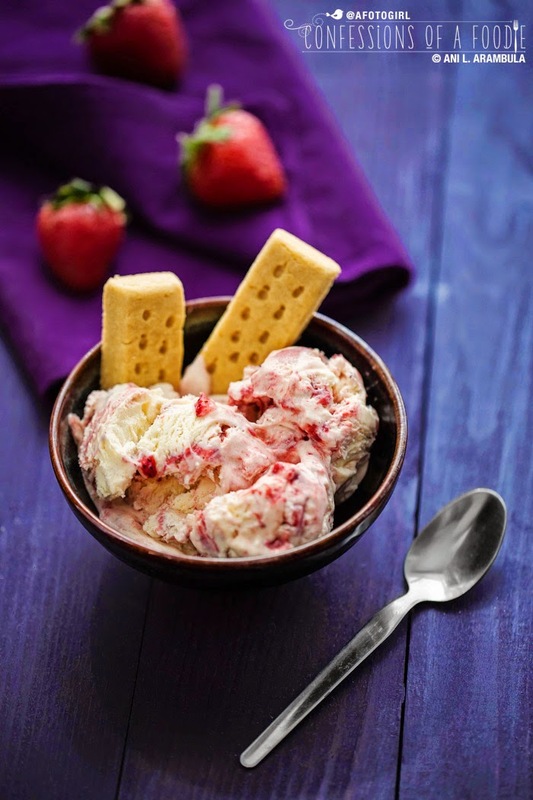 But it has all the flavor components presented in a cool, perfect for a warm summer evening dessert: buttery shortbread, the "summer in a bite" satisfaction of deep ruby colored strawberries and cool, billowy whipped cream flavored with just a hint of warm vanilla. Scooped into a bowl and served with a couple of shortbread cookies (or BETWEEN two big round shortbread cookies for a semifreddo shortbread sandwich! 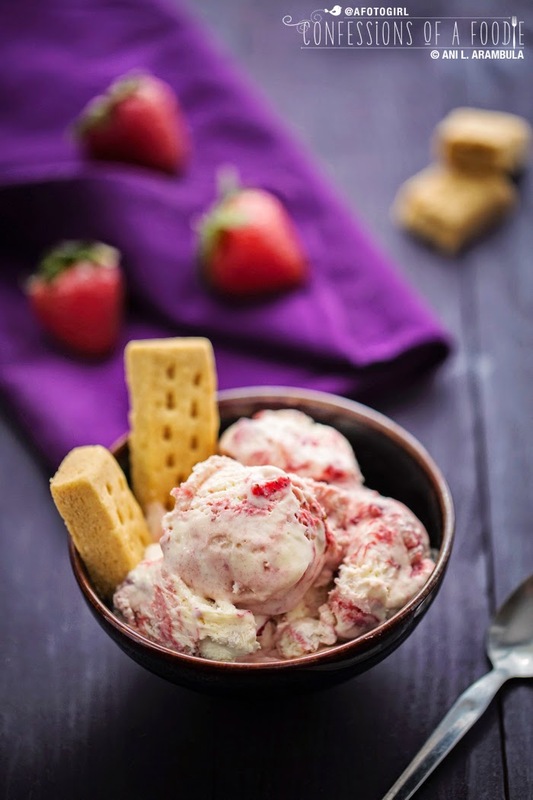 ), this Strawberry Shortcake Semifreddo definitely yells, "Hello, summer! So nice to see you again!" Give it a whirl and let me know what you think in the comments below. 1. Make the sauce: Quarter 2 cups worth of berries (should be about half of the berries); reserve the rest. 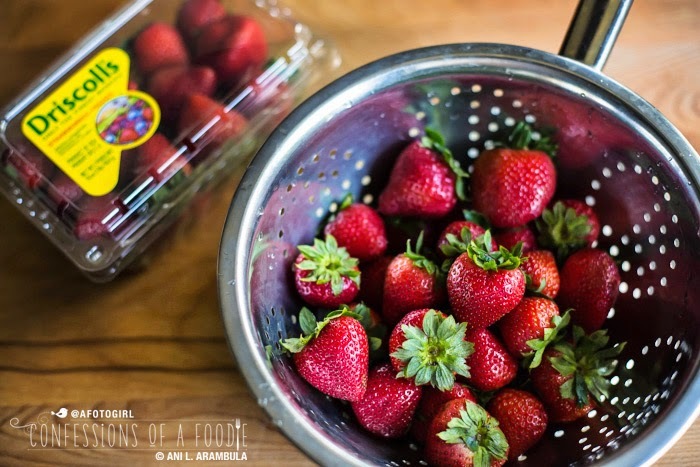 Place cut berries into a medium saucepan and sprinkle with 2 tablespoons sugar and drizzle in the balsamic vinegar. Stir to combine. Turn heat to medium high and bring to a boil then reduce heat and let simmer for 5 - 8 minutes, stirring often. Remove from heat and allow to cool for 5 minutes. Then place in a blender and purée. Set aside. 2. Make the whipped cream: Place ice and water in a bowl. Then place a second metal or glass mixing bowl in the ice bowl. Let stand for a few minutes. Pour two cups of cold heavy whipping cream into the mixing bowl and beat on high until cream thickens. Add ⅓ cup sugar and vanilla; beat until soft peaks hold. Set aside. 3. 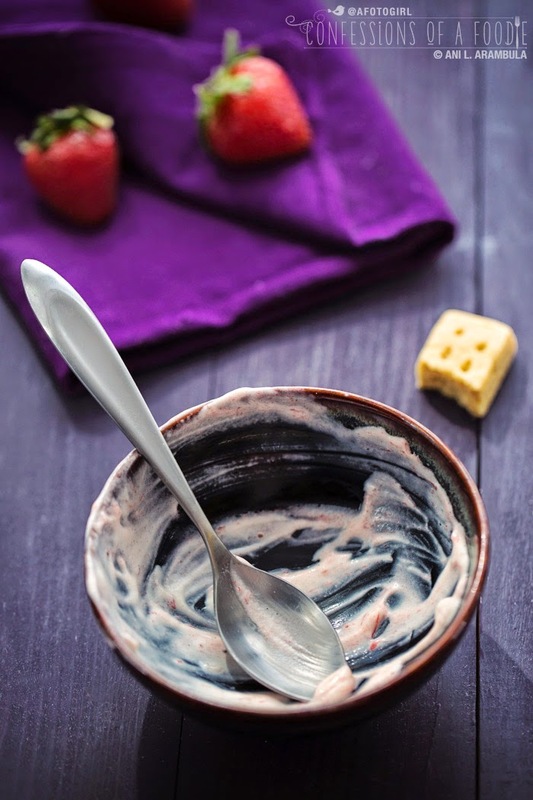 Prep the condensed milk: Pour the condensed milk into a bowl and beat on high for 3 minutes to add air to the milk. Gently fold ⅓ of the whipped cream into the milk, careful not to deflate the cream. Then fold the condensed milk mixture into the remaining cream until incorporated. Do this slowly so as to not deflate the cream. 5. 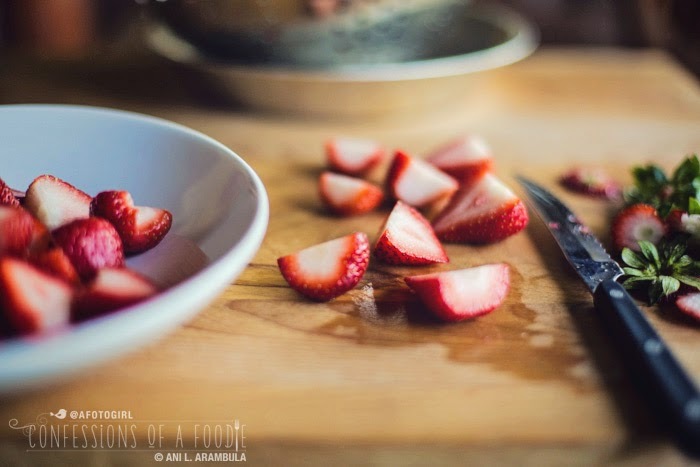 Optional: Finely chop 3 or 4 strawberries. Fold into the cream. 6. Swirl the purée into the cream just enough to create a few red streaks. Pour into a 9x5 metal loaf pan. Cover with plastic wrap and allow to freeze for 4 - 6 hours. When ready to serve, allow to sit at room temperature for 10 minutes before serving. 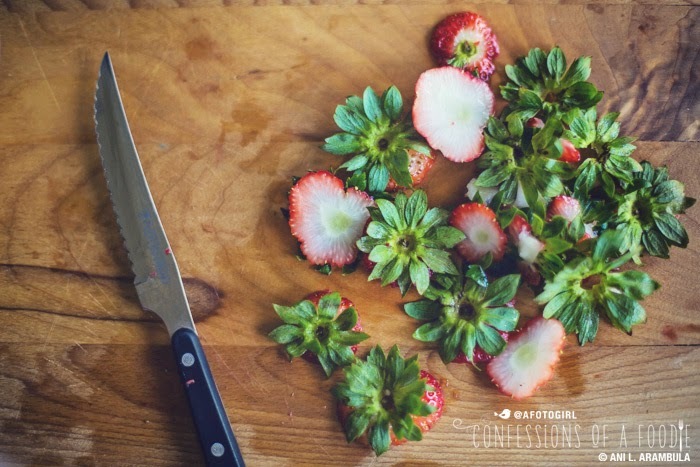 Optionally, garnish with sliced fresh strawberries. A family owned business for more than 100 years, Driscoll's is passionate about bringing to market premium strawberries, raspberries, blackberries, blueberries and organic berries. How do you like your strawberry shortcake? Traditional or do you like to deconstruct it and come up with fun variations? Let me know in the comments! DISCLOSURE: I received from Driscoll's discount coupons for strawberries and a Whole Foods gift card to purchase ingredients for this recipe. I was not otherwise compensated. As always, the recipe and opinions expressed in this post are my own. I love it traditional/ I love strawberry short cake and love with lots of strawberries. I love that you can see/tell that this is strawberry - love the color of it! I've only made lemon semifreddo but I think it's about time to expand to other flavors. I bet this would be tasty as an ice cream sandwich!